Ringing in the New Year with a toast? Try celebrating with a Kir Royal or Kir Impérial. Simple and elegant, the Kir family of cocktails are easy to make and perfect for celebrations. Popular in France, the Kir originated in the Bourgogne region after World War II as an aperitif made with crème de cassis. The mayor of Dijon, the Bourgogne capital, Felix Kir (1876 – 1968) is credited with reinventing the blanc-cassis, a white wine with black currant liqueur cocktail, which became known as Kir in his honor. Technically, the drink dates back to the 1840s with the creation of crème de cassis. Since Kir, variations of this drink have emerged. Since Kir’s time, variations of the drink have emerged. Perhaps the most popular is the Kir Royal—made with champagne—as I discovered on a recent trip to France. Another favorite of mine would be the Kir Impérial, which uses a raspberry-flavored liqueur in place of the cassis. Other versions are made with crème de mûre (blackberry) or crème de pêche (peach). What you’ll need: Champagne, Crème de Cassis, and Chambord. 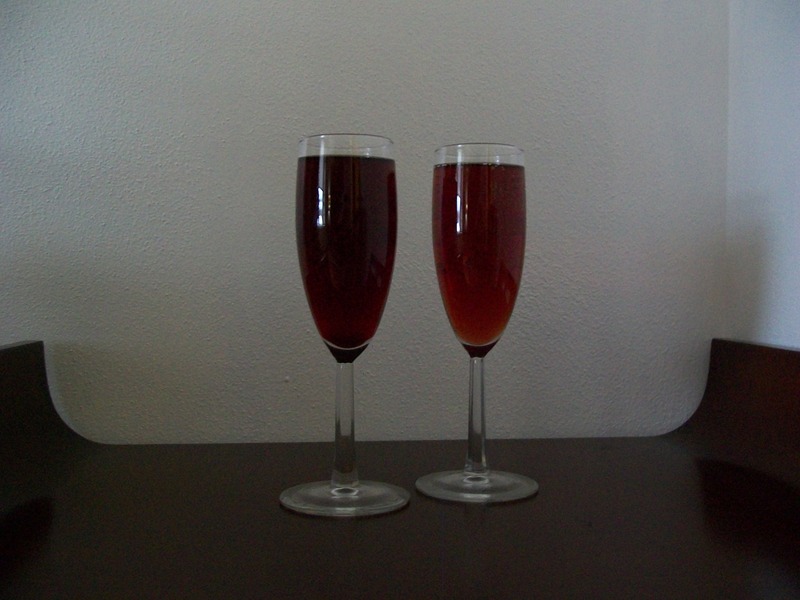 For the Kir Royal, pour 1/2 ounce of crème de cassis in a fluted glass and then fill with chilled champagne. For the Kir Impérial, pour 1/2 ounce of chambord in a fluted glass and then fill with chilled champagne. Très facile! How I like it: J’aime le Kir Royal et le Kir Impérial! I like both equally. I also use a full ounce of the cordials. That’s why the Kirs pictured above (left, Royal; right, Impérial) look darker in color than usual. This cocktail is very easy and perfect for celebrations or ringing in the New Year! 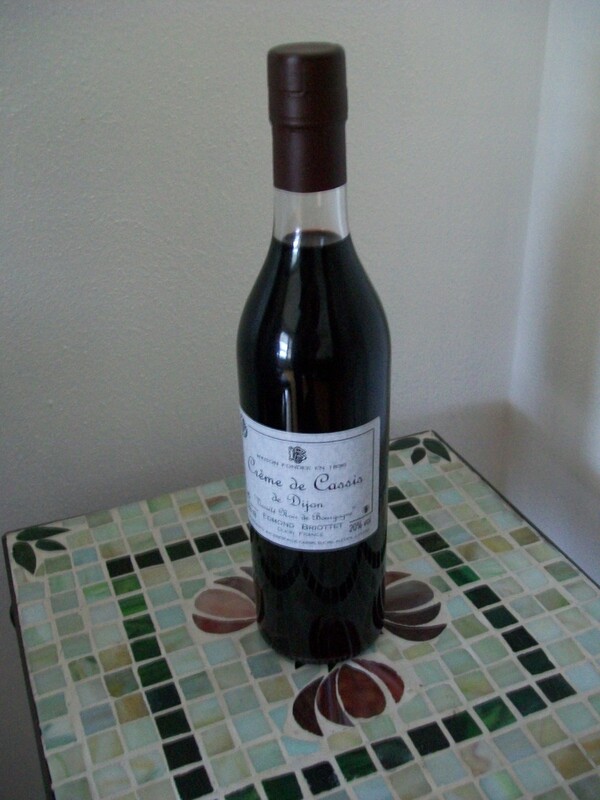 For the cassis, I picked up a bottle in Beaune, France (see photo). It has a delicious, sweet flavor all its own. Interestingly, I discovered cassis is often used in place of the chambord to make French Martinis (see recipe here) in France…at least in the Bourgogne region. A toast to the new year, and as always, drink responsibly!